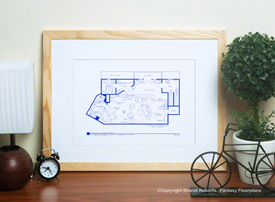 Buy a poster of Little House on the Prairie Floor Plan for the Ingalls family! 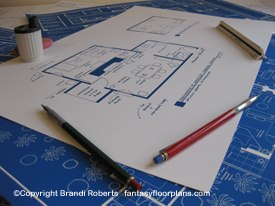 Welcome to my somewhat primitive Little House on the Prairie floor plan of Caroline and Charles Ingalls. This log cabin features a dining/living area with stone fireplace. A kitchen with well pump. A ground floor bedroom area and loft for Laura Ingalls and Mary Ingalls. The windows have shutters to keep out the cold winter chill from the prairie. If you need directions to the creek, just follow my arrow. And if you need to hang wet clothes after washing them in the creek, there's a clothes line right next to the cabin. 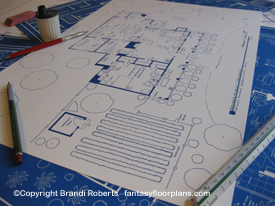 My Little House on the Prairie floor plan is sure to delight anyone who loves the show!